The U.S. is importing more softwood lumber from overseas after it slapped tariffs on Canadian supplies. Russia has emerged as one of the winners from the trade dispute between Canada and the U.S. over lumber. The U.S. is importing more softwood lumber from overseas after it slapped tariffs on Canadian supplies, making them more expensive. Russian shipments are 42 percent higher so far in 2017, according to U.S. government data. To be sure, Russia accounts for a relatively small proportion of the total, while European countries such as Germany and Sweden are among the biggest suppliers to the U.S. But the shift in volumes illustrates how a political spat has quickly altered the flow of international trade. “It seems to be that there’s something illogical that we’re not buying the lumber from our neighbors to the north, that we’re buying it from the Russians,” Jerry Howard, chief executive officer of the National Association of Home Builders, said in a telephone interview from Washington. “That’s sort of the looking glass that we’ve gone through and that’s what the market is forcing us to do now,” Howard said. The dispute has increased material costs for house builders in the U.S. by 20 percent, according to Howard. Lumber futures traded in Chicago have gained 13 percent this year, among the best performance of all the commodities tracked by Bloomberg. The trade in softwood lumber between the U.S. and Canada has been an intermittent source of friction for years, but tensions escalated in April when the Trump administration set countervailing duties of up to 24 percent on Canadian imports. Additional duties of as much as 7.7 percent followed in June. There’s been speculation since then that both sides could resolve their differences before talks this month aimed at renegotiating the North American Free Trade Agreement. But so far, it’s remained as speculation. Monthly softwood lumber shipments from Russia totaled 4,214 cubic meters in May, the most since January 2008, data from the U.S. Department of Agriculture show. 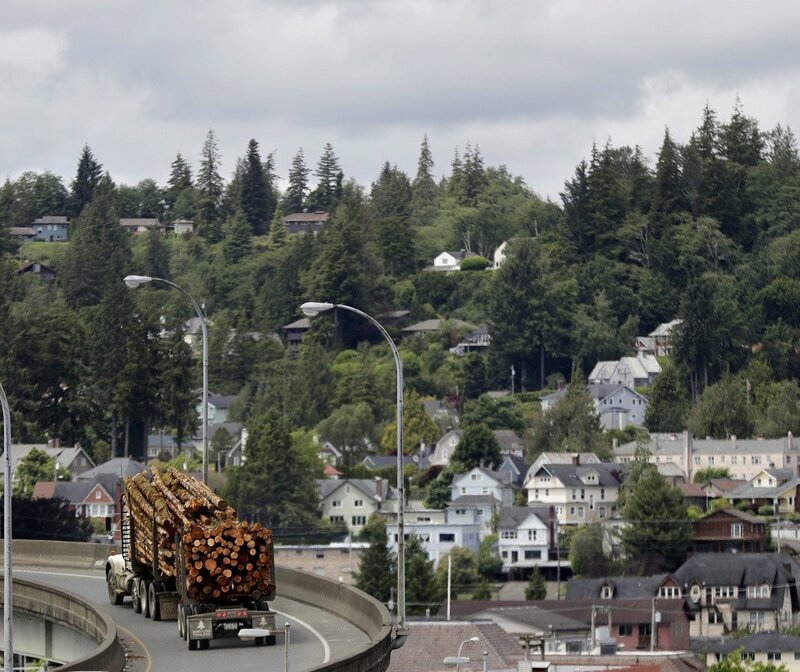 For the first half of the year, offshore softwood-lumber imports into the U.S. rose 38 percent, while shipments from Canada declined 1 percent, said Bloomberg Intelligence analyst Joshua Zaret. The additional cost of Canadian lumber is not only saddling U.S. consumers with extra costs but threatens to price some of them out of the market, according to Howard. For every $1,000 price increase of a home, 150,000 people are priced out of the market, Howard said. “Fewer houses are being built at the moderate price points, and they’re not being built because the cost of lumber puts them out of too much of the consumers’ buying range,” he said.